ARE U FEELING HEAVY in the stomach....is it gas/bloating?? 1. Take regularly cumin seeds or "jeera seeds" used in cookery, for the remedy along with plenty of warm-water. 2. Take plenty of fruits, & Juice extract from banana-stem (once in a week will do) will help. 3. A good bath after a heavy food is good. Also, u may dip your legs up to your knee in hot water for 10 to 15 minutes. This will definitely help solve your worry. 4. Get vitamin B12 and zinc: Their deficiency causes low stomach acid (which might sound like a good thing, but it's not) and low stomach acid causes a heaviness feeling. Get your nutrient levels checked by the doctor/nurse by means of blood test. if you also get easily tired, you're deficient in vitamin B12 and iron. you might want to take a multivitamin, spirulina, and chia seeds (at health food stores). PS; medication depletes (takes away) nutrition and that's probably why your symptoms get worse with medication. 5. Get enough probiotics: Eat yogurt a lot as it provides probiotics; they are the good bacteria found in your colon/intestines. they help to sooth the stomach and get your digestion going. 6. Sooth the stomach by peppermint tea. 7. Take little 100% all-natural aloe vera juice (health food stores sell them) or evening primrose oil (health food stores sell them), and garlic. 8. 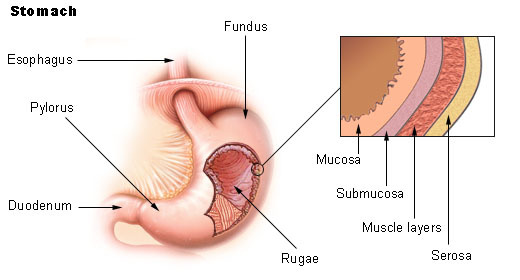 Always chew your food VERY well and slow, because chewing your food is already part of the digestion process! 9. Drink water couple of minutes before and a little after you eat - never during your meal, like so many people do! 10. Don't eat too much at one time (binge). you can have 5 or 6 SMALL meals throughout the day, instead of eating one or two big meals! 11. Don't eat fruit with other food. Fruit should always be eaten on it's own. if you eat fruit right after a meal, you can get stomach problems, because fruit isn't digested properly when eaten with other foods. 12. Avoid foods that cause acidity: Acidic foods cause stomach problems. Avoid too much junk food, sugar, sugar substitutes, acidic foods, coffee, medication or any unhealthy foods. 13. Take alkaline foods like lemons: take first thing in the morning, have a glass of water with one freshly squeezed lemon. 14. Practice Bow Aasan (Bhujang aasan) which cures many stomach problems. Method: Lie on the ground with face downwards. Bend the legs backwards and catch the ankles with your hands and bend the body to resemble a bow resting yourself on your abdomen with your spine nicely arched. Maintain this pose for a few seconds and return to the original position. Repeat 3 to 4 times. Benefits: The back muscles are well massaged. This cures constipation, dyspepsia, rheumatism and gastro-intestinal disorders. It reduces fat, energizes digestion, invigorates appetite and relieves congestion of the blood in the abdominal viscera. This asana is highly beneficial for ladies. 15. Eat "Harad" churan (sold at Indian grocery stores). It instantly gives relief to stomach heaviness & gas. P.S. >>An ayurvedic medicine called "DIASYN" is very good for any indigestion, esp after a heavy, oily meal. Just pop in 2 tablets after a greasy meal. Stomach problems can be due to number of reasons: stress, insomnia, menstruation, food poisoning, acidity/gerd, unhealthy foods, too much eating etc. Diagnosing the problem can help to decide the correct course of action. 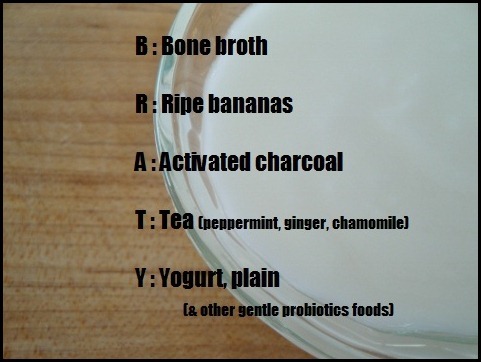 For UPSET TUMMY: Below is the "BRATY" diet given at one website that has been recommended to take care of upset stomach. It has been found to be very useful by many readers. Bananas – The amylase in bananas is an enzyme that assists in digestion, so although bananas are high in natural sugars, they are a gentle choice for an upset tummy. Rice (white)– It is supposed to firm up your stool. Applesauce – Applesauce is gentle on the stomach & puts less strain on stomach muscles to digest. Toast – White bread/saltine crackers helps “firming up” the loose motions & helps in diarrhea control. 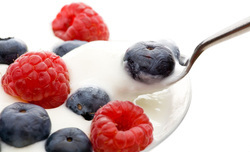 Yogurt is a Probiotic – Best effective remedy for stomach problems. It helps to introduce healthy bacteria into your system to restore balance & controls all troubling stomach issues. Good for stress control & indigestion. TIP: One last thing I do when anyone is sick with anything is cut sugar, especially any refined white sugar . Sugar feeds the bad guys, and we should starve the bacteria causing the problem. Easily digested veggies like squash. For constipation: Eat the 3F’s: fat, fluids, and fiber. Raw fruits and veggies and whole grain bread dipped in olive oil are helpful. Caffeine is a diuretic, so some diluted black tea or iced tea may help draw water into the bowels to make using the loo easier. 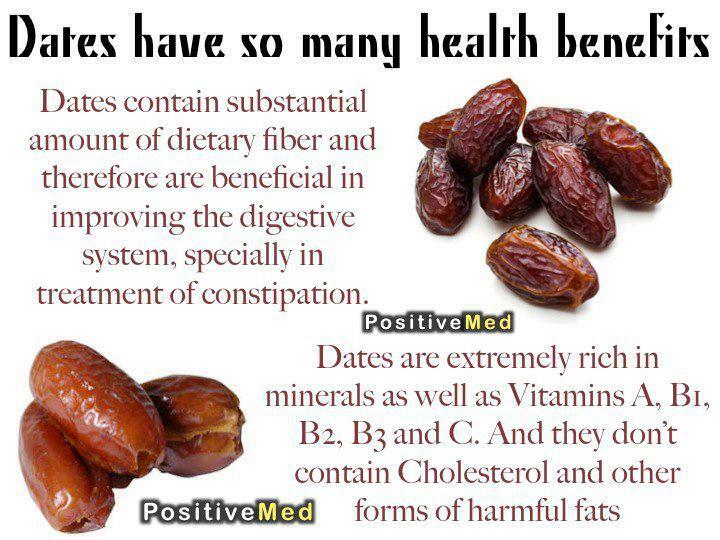 Dates can relieve constipation problems – very rich in dietary fiber which helps clear the colon. Soak the dried dates in water for a day, and eat them at night before going to sleep (also drink up the water in which they were soaked) to have clear bowel movement the next morning. Dates aid with digestion and stomach health – They have antioxidative properties that aid in digestion and provide relief in acidity and heart burn, as well as, cure stomach ulcers and colitis and aids in the growth of friendly bacteria that help digestion. 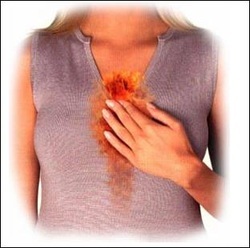 Heartburn is a burning sensation that arises in your chest and upper abdomen. 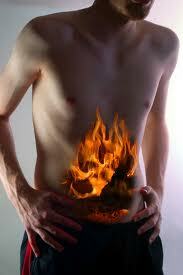 Sometimes there is a burning sensation in your throat and you may burp up stomach acid. 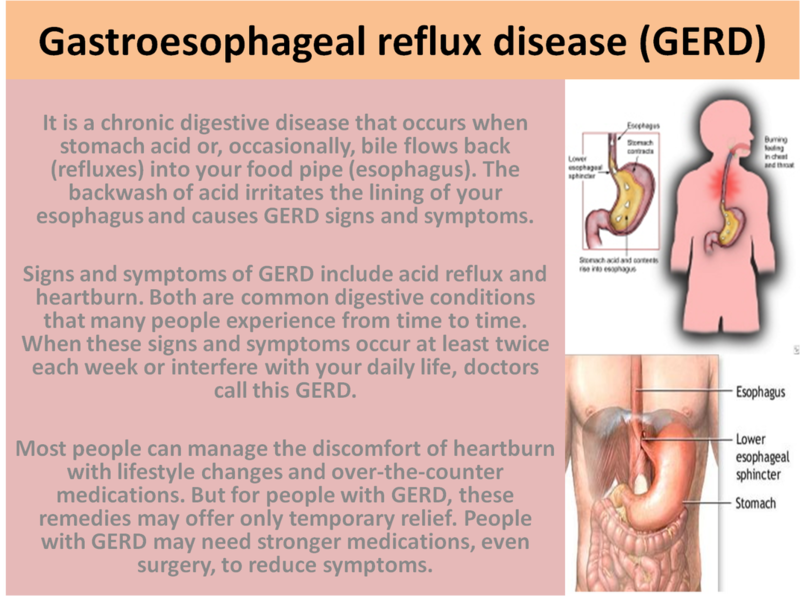 Heartburn is a primary symptom of a condition called gastroesophageal reflux disease (GERD). Any chest discomfort may also signify heart disease, so it is essential that you discuss with your doctor. Acidity is an uncomfortable feeling of burning and warmth in the chest. It usually occurs after meals, when lying down, or at night while sleeping. Acidity occurs when there is excess secretion of acids in the gastric glands of the stomach. When the secretion is more than usual, it is known as heartburn, which is normally triggered off by consumption of spicy foods. Tip: You can take TUMS or antacid to get relief besides eating proper foods. However, its best to take the herbal approach as given below!! 16 HERBAL WAYS to TREAT ACIDITY!!! 1. Skip the aerated drinks & caffeine. Have herbal tea. 2. Have a glass of lukewarm water everyday. 3. Include banana, watermelon and cucumber in your daily diet. Watermelon juice is great for curing acidity. 4. Coconut water or Nariyal paani is known to soothe the system if you suffer from acidity. 5. Drink a glass of milk - everyday. 6. Have your last meal at least 2-3 hours before you hit the sack. 7. Don't go more than 3 hrs without food. Have small but regular meals. 8. Avoid pickles, spicy chutneys, vinegar, etc. 9. Boil some mint leaves in water and have a glass of this after meals. 10. Sucking on a piece of clove is another effective remedy. 11. Jaggery, lemon, banana, almonds and yogurt are all known to give you instant relief from acidity. 12. Cut down excessive smoking and drinking. 13. Try chewing gum. The saliva generated helps move food through the esophagus, easing symptoms of heartburn. 14. Ginger aids in digestion. Either buy powdered ginger in capsule forms or add the herb to your recipes. 15. preparation of lemon water with sugar can be sipped on an hour before lunch to reduce uneasiness. 16. Have vegetables like drumsticks, beans, pumpkin, cabbage, carrot and spring onions. Readers click below for these great products for gastro-intestinal problems. 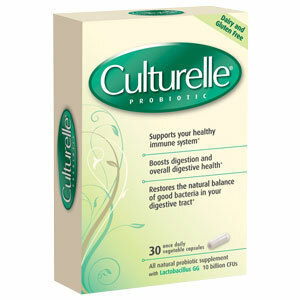 Save 50% Off Culturelle probiotics, to alleviate common GI symptoms, with code V50OFF at Vitamin Research Products (VRP.com)! Offer ends 3.31. 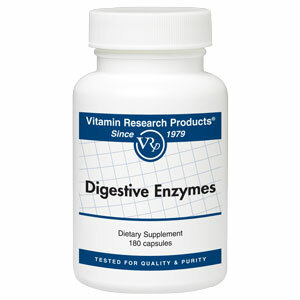 Save 50% Off Our Digestive Enzymes Supplement with code V50OFF at Vitamin Research Products (VRP.com)! Offer ends 3.31. Gas, bloating, acidity, heaviness are some of the common ailments of stomach which most of the people suffer. One must get the reason diagnosed before using the proper method to cure it. Sometimes its just stress or lack of sleep, however, it can be something serious as food poisoning or gastrointestinal disorder. Read this blog to get some tips and cures. Post your comments too.